The collaboration of NAPCP member photographer Rhonda Dent, and designer Janice Schulte is match made in style heaven. 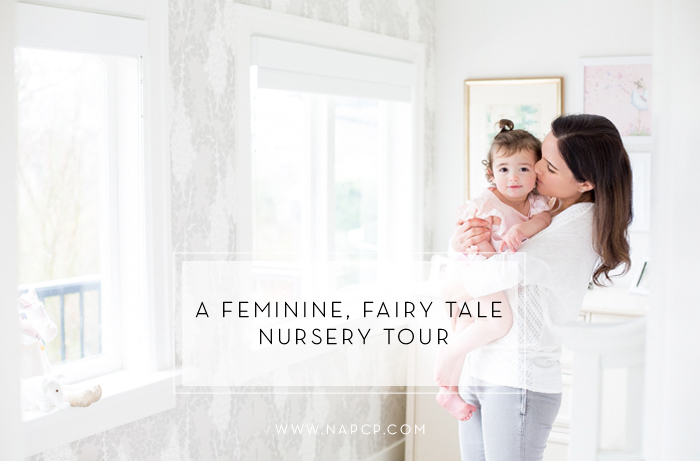 With the wallpaper as showcase, and antique and thrifted finds sprinkled throughout the room, the nursery is full of character and charm. To balance the cost of the wallpaper, Schulte kept the rest of the nursery budget-friendly. Schulte’s client wanted the space to be serene and modern, but also capture the history of the family’s new/old Vancouver Heritage home. Keep scrolling to see this sweet space, classically photographed by Rhonda Dent — and to read about the collaboration. NAPCP: Janice, what were the must-haves you knew you wanted to include when you began discussing the design with your client? JS: We knew that we wanted a calm, peaceful environment for newborn baby Mila. Her mother Emma likes modern accents, but we also wanted to keep with the Heritage aspect of the home, so we decided to incorporate both into the project. NAPCP: Choosing what to put on the walls of a room can be overwhelming! How did you choose this delicate wallpaper? JS: The room itself is a little long and narrow, so I decided to use the double windows as the focal point, and accent the arches around the window frames. I knew I wanted a more subdued wall, but still have a delicate texture to the space to give it even more depth. I chose this lovely floral wallpaper from Farrow & Ball called Wisteria — the paper comes from London and is blocked stamped in a traditional method rather then inked as most wall papers are, today. This gives a beautiful textured appeal with a chalk-like finish. 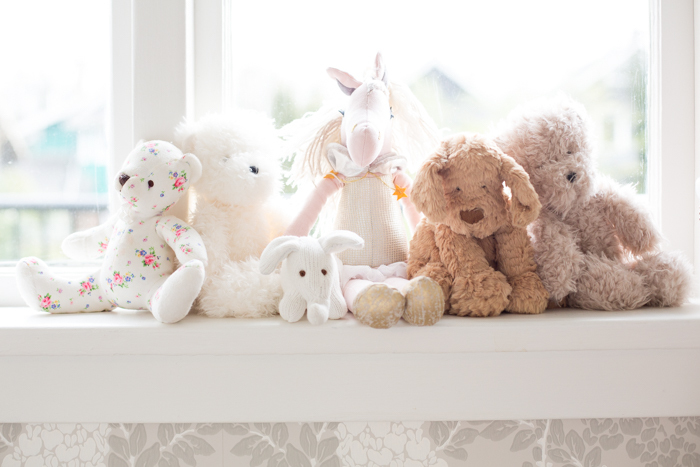 NAPCP: What is your favorite piece in the nursery? JS: Of course the wallpaper, and the soft taupe (kiddie proof) area carpet from Nufloors. Also the antique crib we upcycled by adding a new coat of creamy paint (Benjamin Moore’s Cloud White). NAPCP: Tell us about investing in interior design, and how you bring client visions to life. JS: An interior designer can help your vision come to life and make it less stressful to edit all the choices out there … especially when you need wall finishes, flooring, lighting, window treatment, furniture. We can bring all these components together and stay within a given budget. Also, we usually will get design discounts, which in turn we can pass on to the client, thus allowing the client to use the saved money to hire a designer. 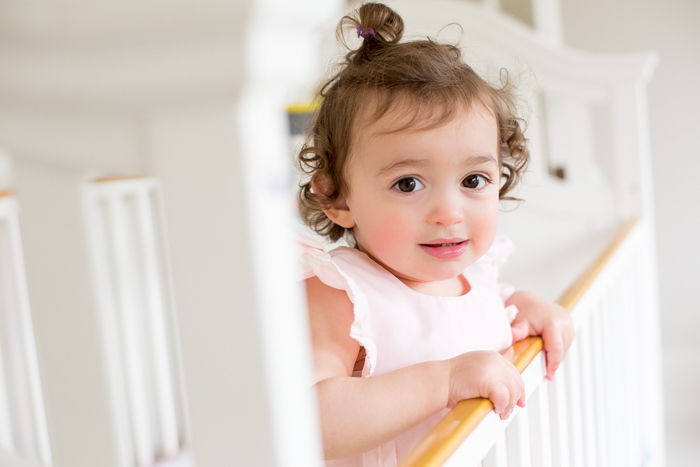 NAPCP: Rhonda, tell us about your process for photographing in-home lifestyle sessions. Is there anything you do differently when wanting there to be a focus on the decor? 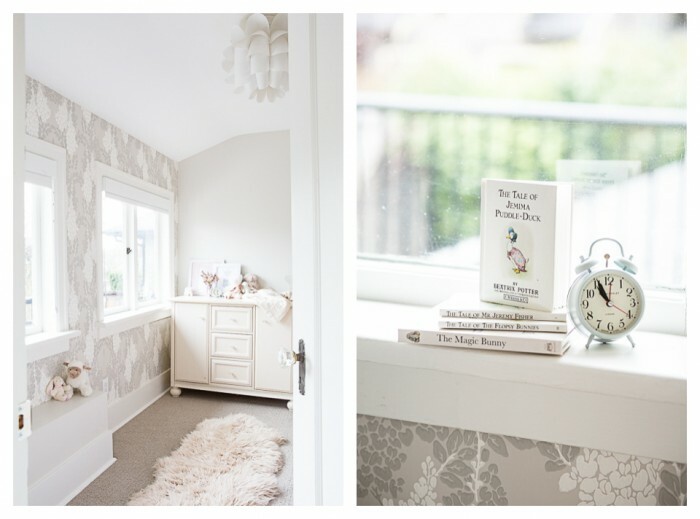 RD: For this particular session we did two separate shoots: one that was totally focused on the interior design of the gorgeous Heritage home in Kitsilano, Vancouver, British Columbia, capturing various rooms and all of the accents Janice had worked on with the home owner. 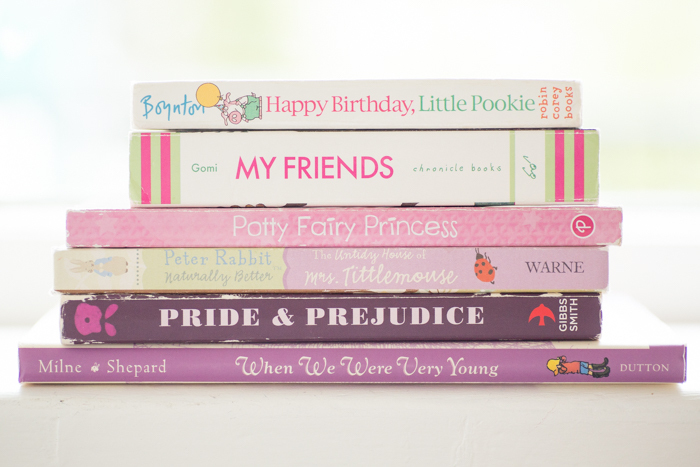 A second shoot focused solely on Mila playing in her nursery and utilizing all of her toys, books, vintage crib and wood rocking chair. NAPCP: Janice is a friend of yours. Tell us more about your designer/photographer friendship, and how you use this to mutually benefit your respective businesses. RD: Janice and I have known each other for 16 years, and when she returned to Vancouver after living in London, England we had a chance to work collectively on projects. I hired Janice to do the vintage tea party decor for my wedding in 2015, and then we worked as a team for a commercial shoot for Brikhouse Clothing, an organic cotton leggings and accessories line for children. Designers and photographers work hand in hand as they both have talents and skills that the other can benefit from, so I highly recommend developing these relationships and choosing projects in which both of your skill sets can shine. NAPCP: What is your favorite thing about this space? RD: The real estate market in Vancouver is a HOT topic and comes up frequently with locals as housing is outrageously expensive here. Character homes built in the 1900’s like this one are absolutely gorgeous and offer quaint and unique architectural design. Preserving the original wood in any character home is a huge bonus. 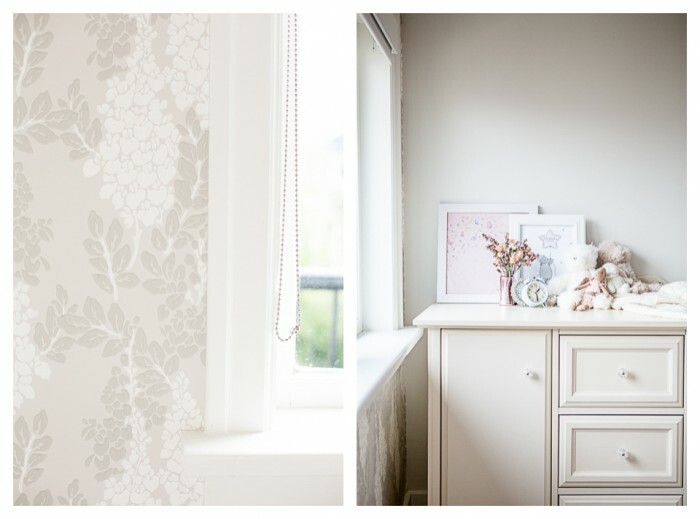 I love this nursery as it has soft colours, with a mix of vintage furniture and modern accents like the light fixture and wall paper. I always feel at home within a character house. NAPCP: What is your favorite element in this session? RD: Working with the warm feel of the home we dressed Mila in an outfit that belonged to her mother when she was a little girl. 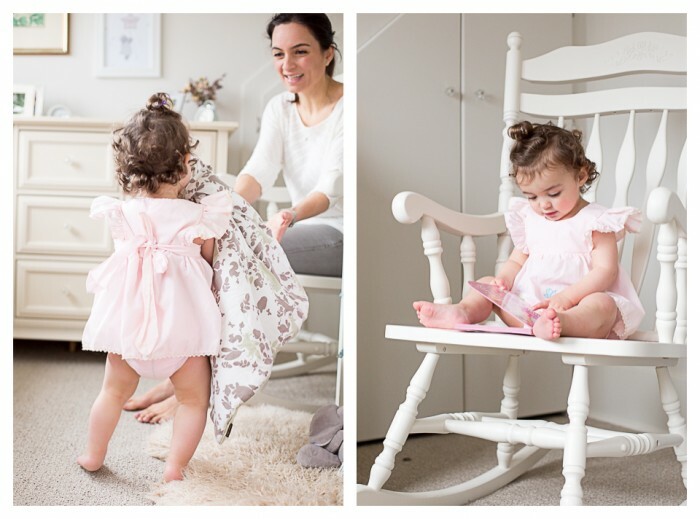 The dress’s soft pink colours and vintage style was the perfect fit for the innocence of this modern yet cozy nursery. Great idea and information. The aesthetic of a space is so important in photography, it’s great to hear the story behind both the interior designer and the lifestyle photographer. Beautiful! Happy Friday: Modern Nursery Inspiration!